One of this year’s most exciting arts events is about to launch in Los Angeles. 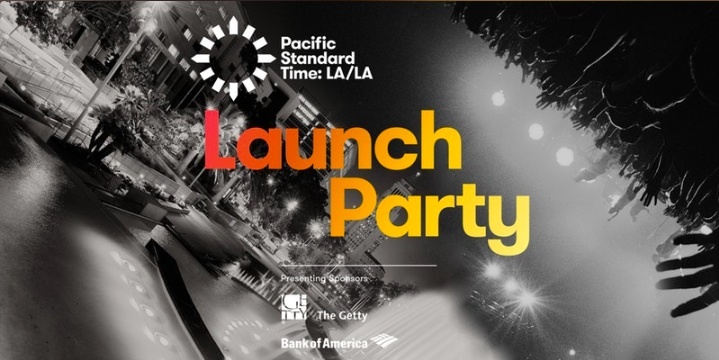 Pacific Standard Time: LA/LA is an ambitious, four-month-long exploration of Latin American and Latino art in relation to the City of Angels, and now you can join the FREE launch party on September 14 at Grand Park in DTLA. This day-long party will feature live music and dance performances, activities, giveaways, photo opportunities, food, drinks and a prime opportunity to plan your itinerary for this exciting arts experience! The dancers, singers and musicians of Ori will present ancestral and modern folk music from Latin America, with an emphasis on Afro-Cuban and Brazilian dance. You’ll also hear the Afro-Caribbean sounds of DJ Cee Brown featuring Aponte, and Quantic Lives’ tropicalia, cumbia, soul and salsa rhythms. Enjoy themed food trucks, a cash bar (after 5 p.m.), a relaxing social space that features an information kiosk and an array of exhibition catalogues, and more. For additional information, check the Eventbrite link below. Enjoy!